Is there anything better than a rainbow? 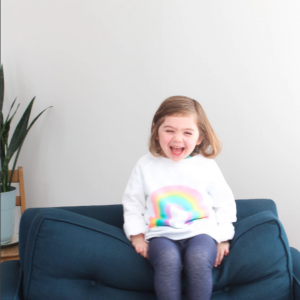 The way the colors magically appear after a storm, a hint of sunshine after a gray winter, the whimsical imagination of a child looking for the pot of gold at the end of rainbow! Something about seeing a rainbow just makes me feel lucky. 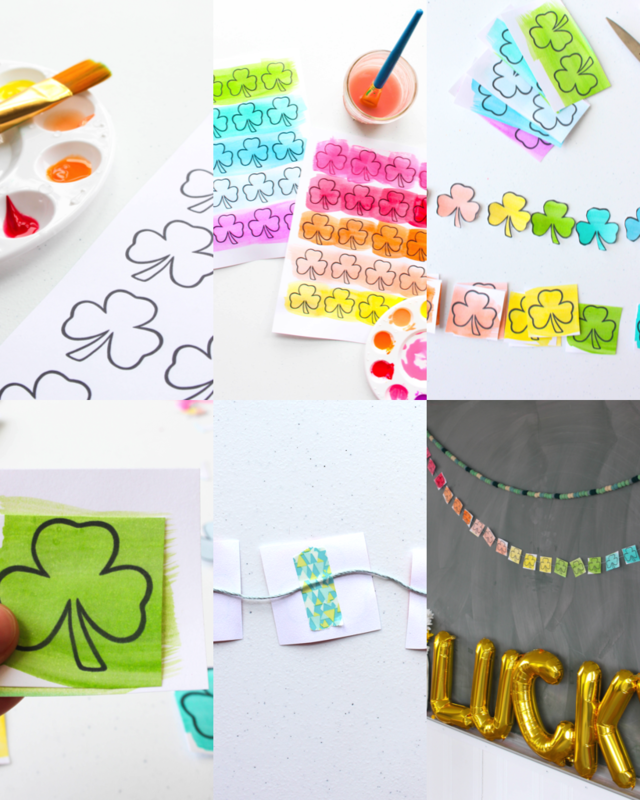 Today we’re bringing a bit of that luck indoors with this rainbow printable shamrock banner we whipped for St. Patrick’s Day. 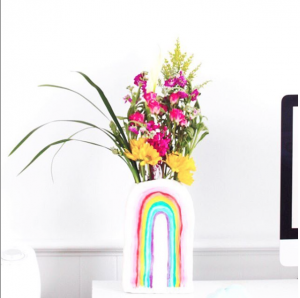 Here is how you can make your own! Time: This project took no more than 30 minutes. 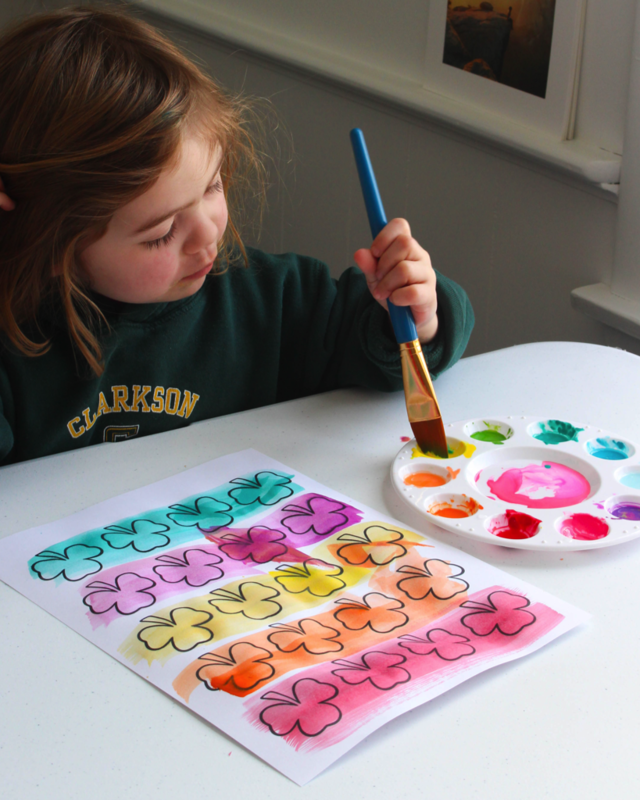 Process: Print out a couple sheets of the printable shamrock template on to card stock or watercolor paper, simply paint each row a different color of the rainbow (red, orange, yellow, green, blue, purple). I love involving my children in the creative process. My daughter was thrilled to paint each row for me. I used acrylic paint and watered it down a little bit, but you can use whatever paint you have. 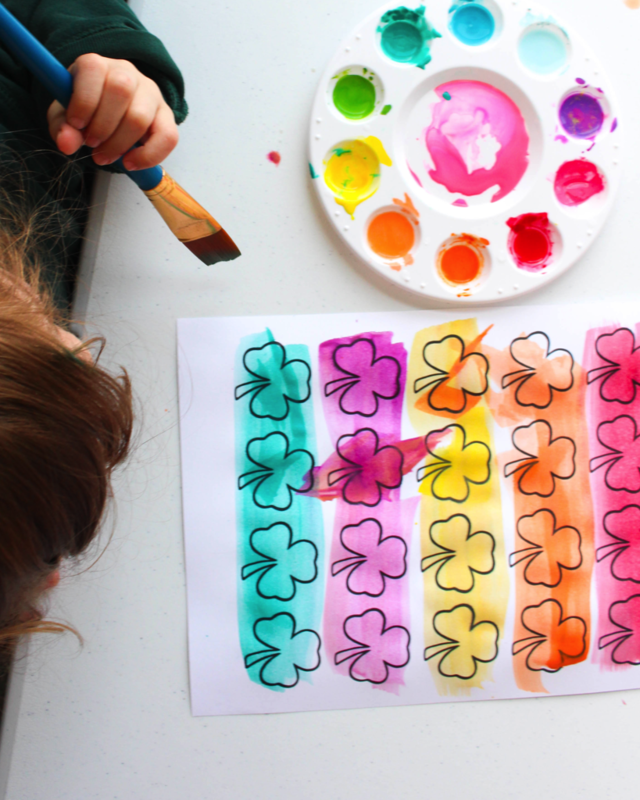 Once the paint is dry, cut out the clovers. 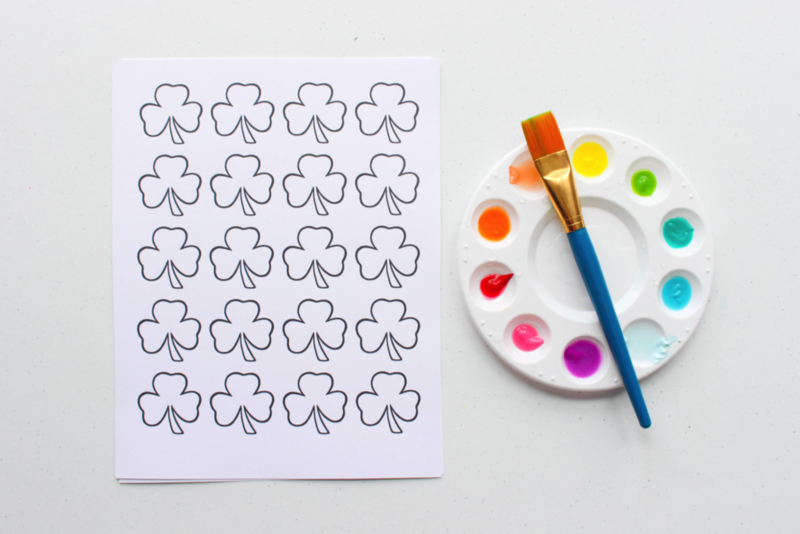 I originally tried cutting out each shamrock individually, but decided I liked the square shape more than the completely cut out clover. It offered a bit more color and the squares layed flat on the banner much better than the clovers. Tip: I used one square as a template so that they all looked uniform. Next, I turned each of them over and taped the back to a piece of string. I love how this project turned out and I hope you do too! 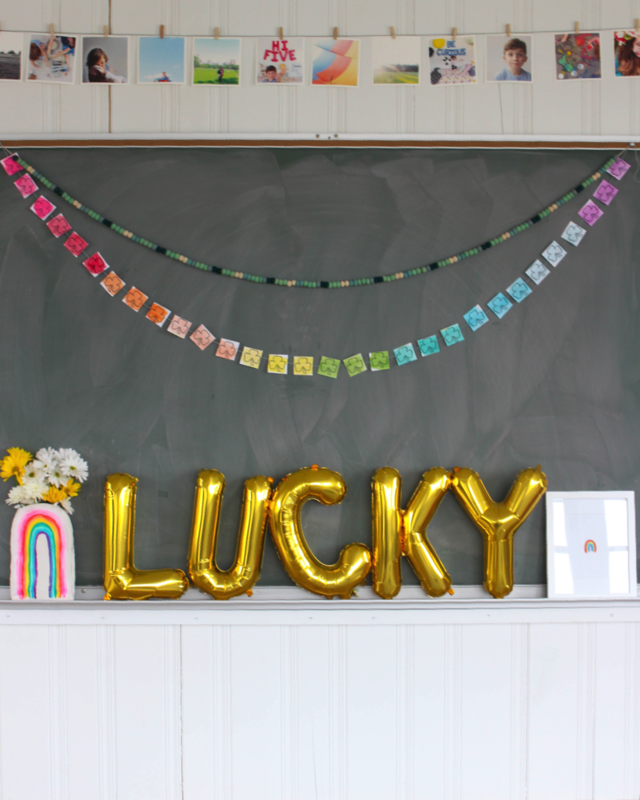 Lay several finished banners across a table and use as a runner. 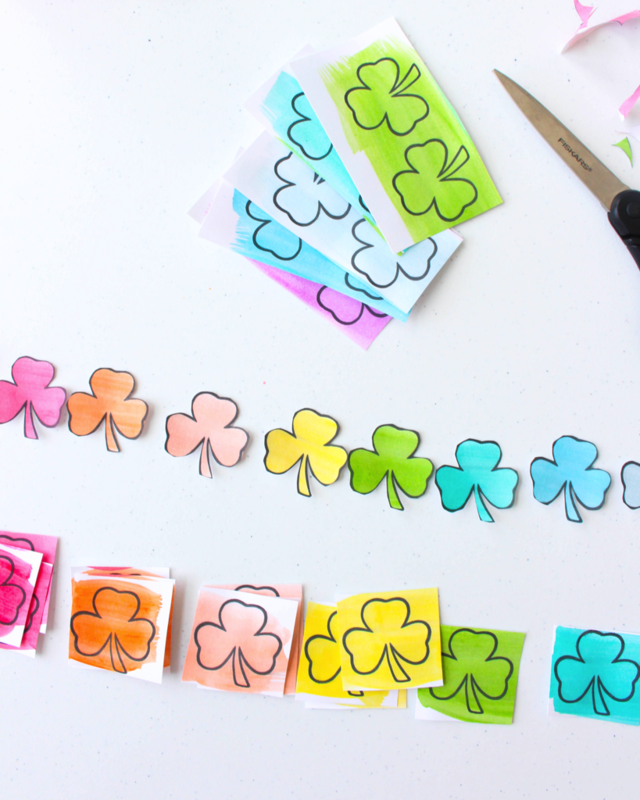 Wrap a strand around a St. Patrick’s Day gift to add a little flair. Hang a few on the wall at different heights to be used as a photo backdrop. 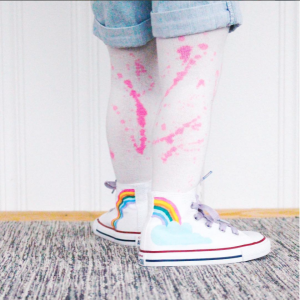 Add glitter on top of each color! 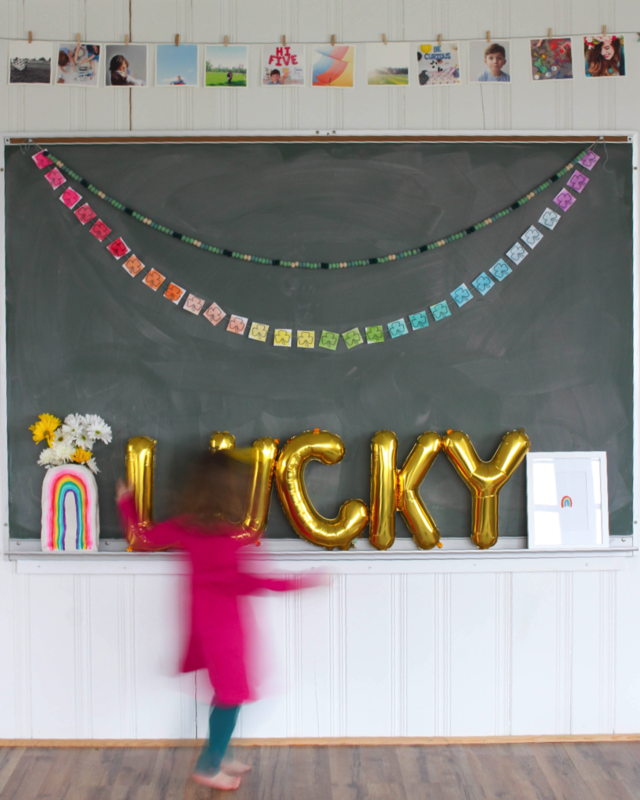 Wrap the banner around something as a St. Patrick’s Day leprechaun prank. 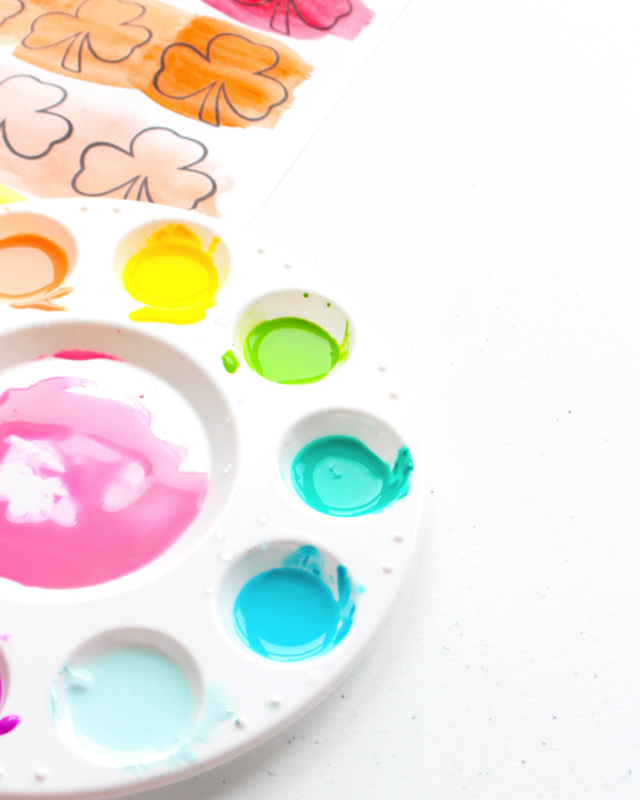 You can find more rainbow activities and lots of sunshine over on my blog Cloudy Day Gray!